Is That A Calculated Risk? Hi Hope your week has gone well. This is Linda Gullo and I am delighted to be with you. Welcome to Mini Miracles from Minor Moments where a few tiny changes can escalate in your life and create monumental JOYS. Our small daily habits can add up to make our vibrant and alive. Mini Miracles from Minor Moments is designed to help you find an insight about yourself. My plan is to help you like yourself and love life. Engaging in life and learning what works for you is the first step. You don’t have to duplicate anyone else’s life or do things in a way that doesn’t fit. How are you doing as we wind down the month of April and move into May? Are you on task with your goals for the year? Do you have them written down? If you are like me, they are always changing and taking on a new look. But that is fine as long as we have a plan in place to get things accomplished. This is Podcast # 51 on Risk Taking. On the Web page with this Podcast, there is a picture of a bridge. 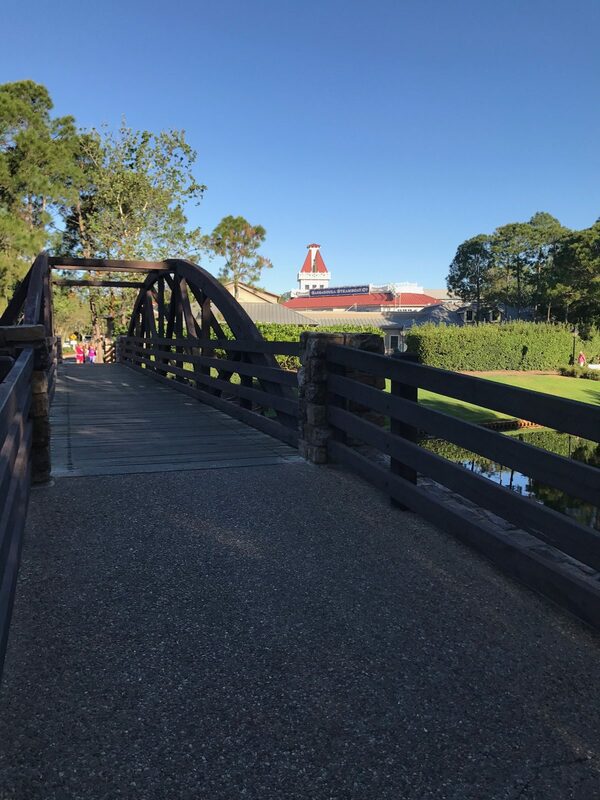 Many people are cautious about walking over a bridge, but if it is built well, it is a safe way to get from on side to another. Constructions are made to be safe. Well I have a few stories for you to enjoy that bring up the topic of CALCULATED RISKS. The first one is a rather funny one about teenage boys. The following are about a Business options. I recently heard a funny story about a young man soon to be 17 years old. He was staying with his father and a group of soccer friends for a few days in St. Louis for a tournament. It was a nice break for this Illinois lad. This was a special group not affiliated with any school activities. The fellas decided to meet up in the Lobby during a break one evening. Meantime the dad took a moment to relax and unwind. With a few minutes to just breath it would be nice. Well, you know how it is with some teenage boys, they like to be funny, and so his friends “dared” him to streak through the lobby in just his undies. Did he do it? Was the challenge daring enough? Why, yes, of course the lad took on the dare and ran across the Lobby in his undies. We must remember that he is a silly 16 year old. And yes he got caught. He was escorted up to the room by a hotel staff member in his undies. You see, his fellow soccer comrades did the obvious. They hid his clothes! Why wouldn’t they? You can imagine the Dad’s face when he responded to the knock at the door. We all have taken calculated risks in our lifetime. Think about the ones you have made and what resulted. I know a fellow who in his Mid 20’s was working as a Marketing Representative for a large well known Oil Company. He learned the in’s and out’s of the Gas Station Business and understood the risks involved. He also had a steady salary, an allowance for traveling expenses and entertaining clients. His insurance was covered and many other perks large companies can provide. In a quest though for bigger and better, he opted out of the position and bought into a Franchise from the company. It was not one the company really liked to see happen. Company representatives knew so much and had been trained in a special Master’s program. They hated to see their time and training go to waste. You can tell me at the end of the story though if their training was really lost. After all it was a new station and in a “prime” location. Did he do it? What did everyone around him think? Well his family was supportive enough, they wanted him to do what would make him happy. And so he opted in to the idea. He became the owner of a 24-hour Service Station on the North Side of Chicago. It sounded good and he was young and able bodied. Savings were poured into the business. At first, the job gave him an adrenaline high while he tested, interviewed and hired people to pump gas and repair cars. There was ordering to be done for parts, tools to be bought and inventoried, lockers to be set up, vending machines to rent, bookkeeping protocol, and proper identification that The Company insisted upon for all its franchises. There was to be a Grand Opening with Promotional items that needed to be moved in and counted. The lines at the gas pumps were full all the time. And the flow of traffic on a busy corner kept everyone hopping. That was when gas was put in the tank for you and oil levels were checked. His wife would come in after a full day of teaching school and help with the books. The bank was set up to work with an armored company to pick up the cash and checks. Credit card systems were set in place. It was all consuming and a great deal of work. Add in the time to clean the restrooms, the bay areas where the cars were worked on, and the endless deliveries of give away promotional articles kept him pretty busy. So busy in fact that he began to eat poorly. Although there was activity is was a lot of standing and working. Then the miseries and mishaps started. The station owner was held up by gun point one night. A gun was put to his head. It was a traumatic and difficult issue. Thank goodness no one was harmed and knowing a police detective in the area helped relieve some anxiety. But there were police reports to file and concerns about future endangerment. Maintenance was ongoing and took time. Tools began disappearing and monitoring the equipment became a never ending job. There was mentoring to be done and workers to watch. The 45 minute trip home often didn’t happen. He’d end up sleeping in the car and not shaving. Things were very trying, because the station was open on the Holiday’s as well. One year his mother-in-law brought Easter Dinner so the family could still celebrate together. It made it very hard to be with the family, yet alone his new bride of less than a year. Money was coming in, but only after all the expenses were cleared and accounted for regularly. And then one night when he had just gone home to his apartment to relax and sleep, the phone rang. Someone had run over a pump. It was mandatory for him to return and take care of a potential fuel danger. He had to report the incident for insurance coverage and cover all the bases. Being the primary source of expertise made it hard for the business to succeed. Oddly enough the owner was always running out of gas. In the buzz of business and constantly running to pick up parts or keep things in place, he’d forget to put fuel in his own car. It became a joke, as his wife was always meeting him somewhere to help him by bringing a gallon or two of gas. Youth and being easier going was thankfully on their side. What they forgot was that the X-Rep of their’s was trained too well and knew the loopholes. Furnishings and equipment was picked up immediately by a large truck and put into a building his family owned. He dissolved the business and moved out within 24 hours of the decision. Accounts were cancelled, vending machines with cigarettes, sodas, and snacks were picked up. Unfortunately, part time jobs were lost and the couple exhausted most of their savings. It was an intentional move that was a good good decision. Thankfully, another job was waiting. After a short vacation, the couple returned to start again. Income was assured as the young man returned to a family business that he had been trained in all his life. To look back at this now many many years later, it was a risk with options set up along the way. Thank goodness. Many adults in business take calculated risks all the time. They venture out with limited funds and try new things. They don’t always have backup plans. Others invest in stocks that go bust or they try selling new products that soar with great profit. Sometimes we learn from the mistakes; these become lessons no one could possibly teach us. In many cases, life is a risk. It may be for personal decisions, as well as, business. One drops out of school only to realize the mistake and has to begin again. People return in a better state of mind and begin again not only to advance but to shine on the second or third time around. It reminds all of us that we need to be encouraging and helpful to one another. Medically medications and treatments for disease may be a gamble that pays off in many more years of life and the joys of living. But then how much of what we do has guarantees. Years ago, I embarked on a series of radio ads that were costly. They did not pay off. Although I did make a few good friends at the time and learned about an area of marketing I did not know about, I ended up with a theme song. The return of the investment did not really pay off. I guess it has helped me understand recordings that I now apply to Podcasting. Gambling on the odds of something working out well is necessary or we’d make no advancements. For even mistakes provide clarity and insight to help us in the future. One of the shows we tend to watch on Sunday nights is the Funniest Home Videos. The videos are funny, because things just happen when they aren’t expected. They are so spontaneous. Sometimes the pranks look they are set ups and I wonder how many people suffer serious injuries. People don’t always think about the what if’s and that is the bottom line of thinking things through fully and completely. Being dared to do something can be in fact foolish and have long lasting results in addition to feeling embarrassed! Well as this week winds down, I hope it has been a good one for you. If not, there are new tomorrows and opportunities for growth and advancement. Take the small steps to put you on the escalator of success. Peace for the week and I will see you next week!